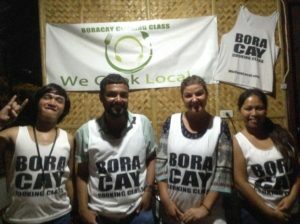 We Cook Local was established in 2015 and is the first daily Boracay cooking class available in Boracay, Philippines. 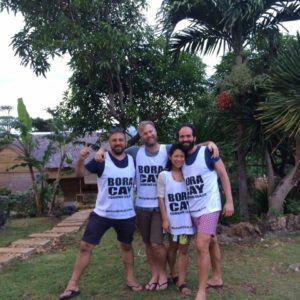 Our mission is to connect travelers with islanders through food. We strive to provide the most authentic experience possible for each course we provide. We do this by going where the locals go to buy their food and cooking authentic Filipino dishes throughout your experience. 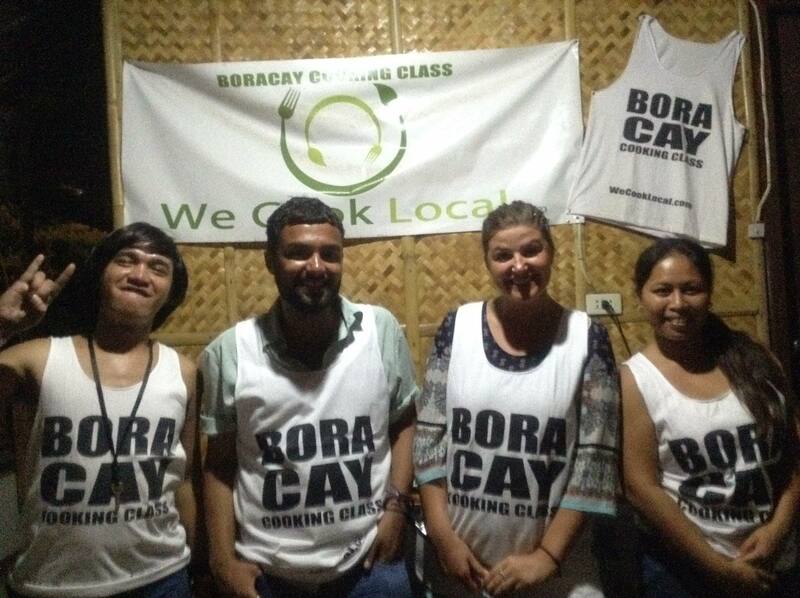 Our instructors are Filipino and Boracay residents that have a passion for both food and people. 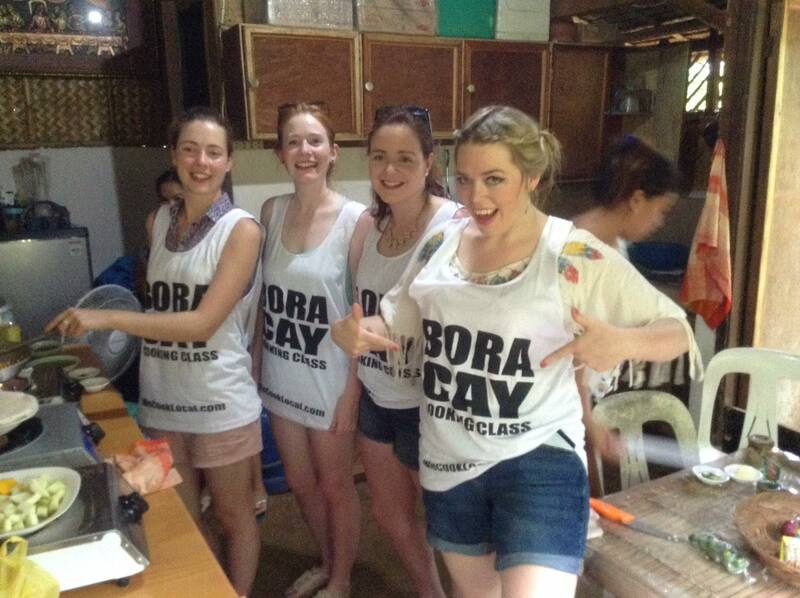 We had a choice to make when we started our Boracay Cooking Class. 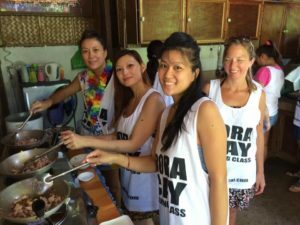 Offer a quick (cheap) cooking class or try to provide the best quality, most authentic, culture rich cooking experience that we can. Our choice was obvious, we want your experience to be the best it can be! 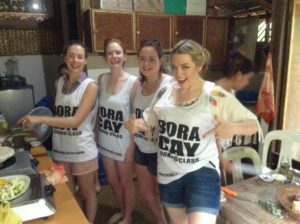 The typical day at a Boracay Cooking Class starts at the local market when we pick up all of the food we need for our day. Our instructor will go over many of the different types of food available at the market, especially those things which you might not recognize. If you havent done so online already, as part of the market tour you will choose which dishes you will be cooking during the day so that we can buy the appropriate food fresh that morning from the market. We then transport you from the market in town to our class location for the day. Once at the class location we begin to prep some of the food while you relax and enjoy a welcome beverage and light snack. After the food is prepped we begin to cook our first dish of the day. Your instructor will go through the process with as much detail as possible to ensure you create a Filipino masterpeice when you are finished. Then comes the fun part….eating! You can dig in and taste your creation in all its glory! This process is repeated for both an appetizer and 2nd entree. We’ll end our day as afternoon turns to evening and head back to the main town. Within a day or so of your course, you will be sent a digital recipe book of all of our dishes so you can cook them from the comfort of your own home over and over! 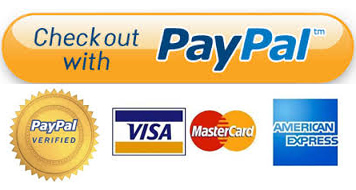 Price is 100% of the cost of selected class participant(s). Quantity is the number of people who will be attending the class.